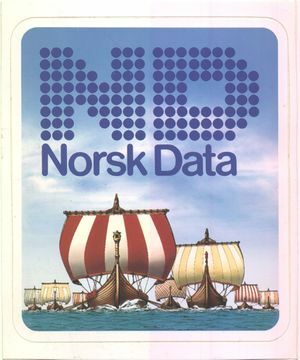 Here we collect things connected to Norsk Data that isn't hardware, software or documentation. ND sticker, unknown year. 90x110 mm. There must have been a ton of promotional made but today nothing much remains. So far the only thing we have found is a sticker. It was used as a signature for ND Germany. Pictures of a German stock option is coming soon. This page was last modified on 19 February 2009, at 08:34.